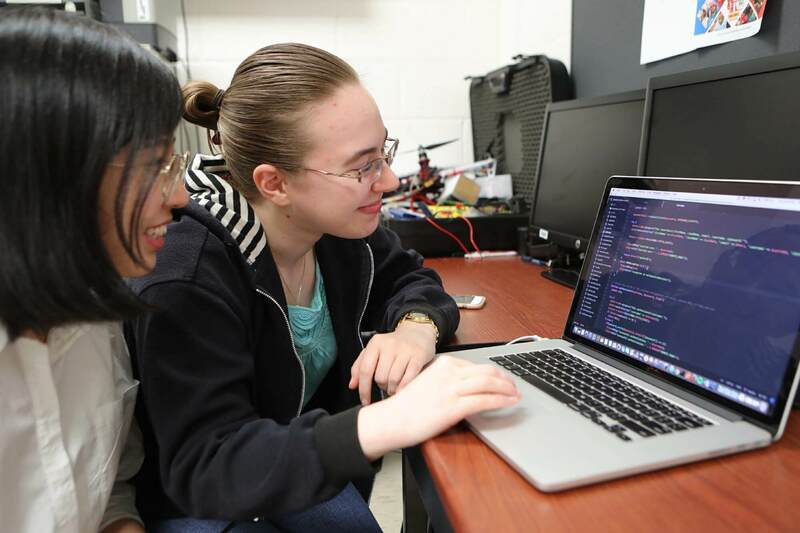 Whether you’re considering computer technology, telecommunications, software design or software development as a career, our cutting edge curriculum will prepare you to be a leader in computing, software engineering, or information systems. This 30-42 credit program (depending on prior academic preparation) is designed specifically for working adults, with convenient, flexible scheduling. You’ll receive a firm grounding in data structures and algorithms, computer networks, intelligent information systems, and databases. And you may choose to concentrate in computer networks, databases and intelligent information systems, or security of computer systems and networks..
Get individual faculty attention and become an effective team member within small classes in a community atmosphere. 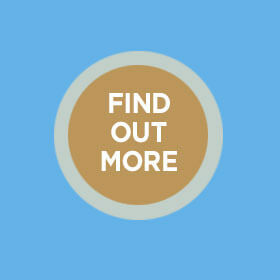 Explore internships and work experience that can be found at local high-tech companies. Monmouth’s faculty members are experts in these areas, and our location near the region’s rich population of high tech corporations allows for close working relationships that foster joint research and development project opportunities. 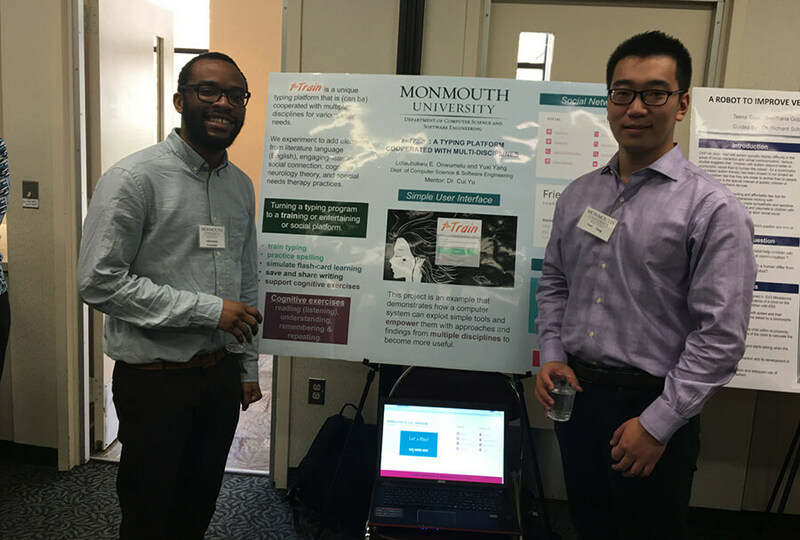 Lotachukwu E. Onwumelu teamed with Yuxi Yang to explain T-Train project to the audience at Fifteenth Annual School of Science Student Research Conference, 2016. Graduate computer science students Shan Yi, left, and Mary Menges working on a project in the computer lab inside Howard Hall. Choose from four tracks: Computer Science, Computer Networks, Databases and Intelligent Information Systems, and Security of Information Systems and Networks. Greater emphasis on cloud computing, the collection and storage of big data, more everyday items becoming connected to the Internet, and the continued demand for mobile computing are creating unprecedented career opportunities for information technology professionals. 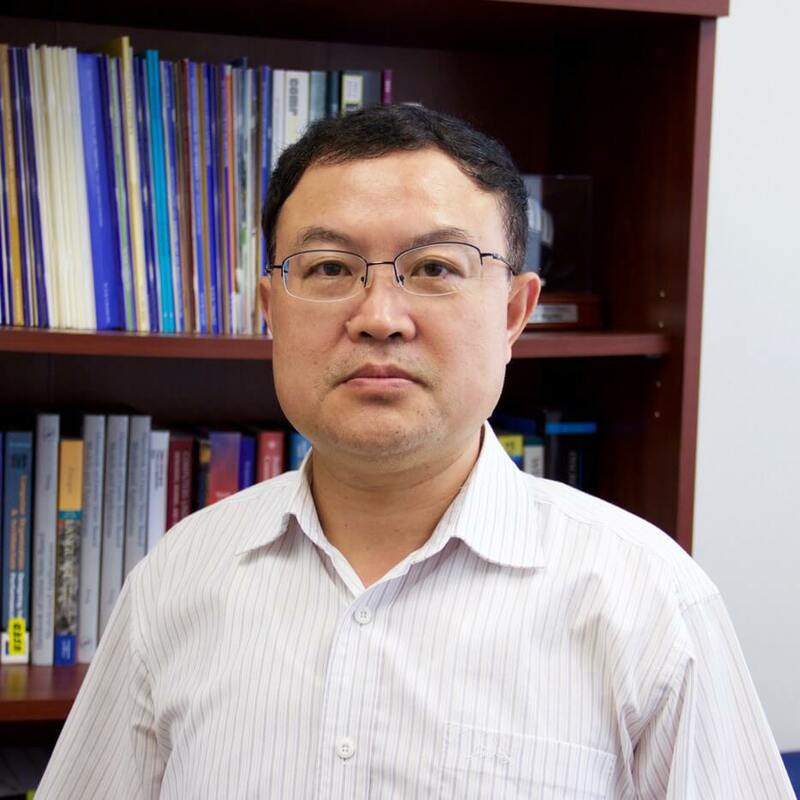 Dr. Cui Yu has primary research experience in data organization, query processing, indexing and information retrieval. 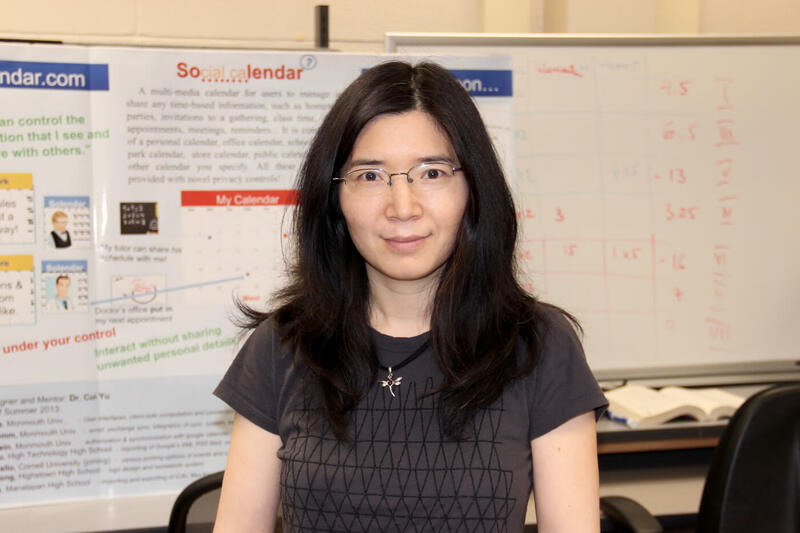 She is an active researcher in her field and has recently published in the Journal of Big Data Research. She is also a student mentor in various research and application development projects. In addition to the strength of the MS in Computer Science program, Monmouth University as a whole has so much to offer students coming from other countries to study at our campus. Possession of a baccalaureate degree with a minimum 2.75 overall GPA and a minimum 3.0 GPA in the undergraduate major, preferably in the sciences or engineering. Two letters of recommendation for graduate study. Two semesters of calculus (I and II) with grades of “C” or better. Two semesters of computer programming courses within the past five years (equivalent to Monmouth’s CS175 and CS176) at a recognized institution with a grade of “B” or better.